This is a guest post by Debarshi Ghosh Dastidar, who is a part-time blogger. He likes to spend his free hours by blogging and promoting Flash templates with the integrated Flash CMS. As social networking industry is booming small business owners are looking it as a low cost marketing platform. Small businesses are considering social media as a medium to sell or resale their products. There are three simple but effective ways by which small business owners can market their products in the social media. Marketing is all about creating and maintaining new relationship and a relationship is all about maintaining communication. So from here we can understand that communication is the most important steps to success in social media marketing. Social media sites like Facebook, Twitter, Linkedin allows business owners to market their products. Other web tools like podcasting (BlogTalkRadio), event coordination (Meetup), photo sharing (photobucket, Flickr), wikis (Wikipedia, answers.com), video distribution (YouTube, Metacafe) allow small business owners to share information directly with their customers. Contents in the form of blog post, video or audio, review or comparison, social network message or tweets help to share information and guide the customers in a less formal way. This approach builds like and trust factor between the business owners and the customers. Features like targeted viewers allow business owners to market their product to customers based on their location, gender or interests. Facebook sports this feature. 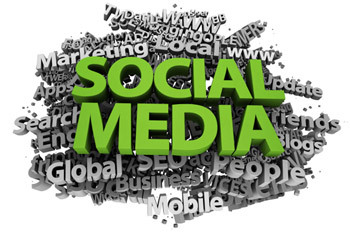 Social media’s direct communication feature helps business owners to communicate to their target customers. Social media has made it possible for the customers to give feedback about their experience regarding the products. This feedback helps the business owners to improve their product. When small businesses communicate with their target customers, they feel powerful. When the target consumers feel powerful they buy from you, trust you and stay in touch with you. It is the consumers in this era (of social media) who make, break or shape purchase patterns. 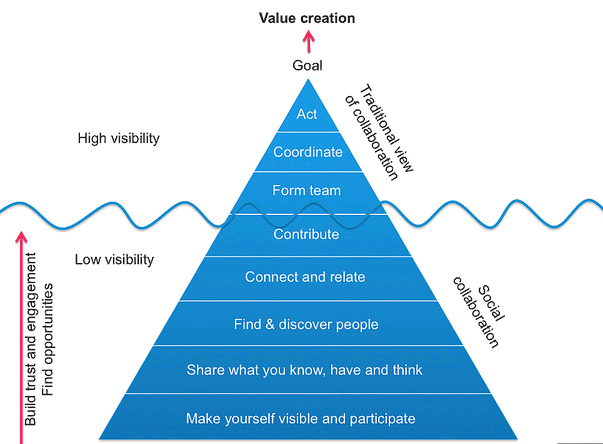 Small businesses create communities or join already created communities to ignite the company-consumer collaboration. These communities bring their target customers nearer to them and in turn increase their percentage of sale. Social media sites like Facebook, Twitter etc. serves this purpose. Consumers trust social media more than the companies itself as they rely on peers other than adverts. Social media collaboration has become important to boost sales and popularity of a product. Have you ever thought why social media serves as a marketing tool? No? I’ll tell you why. Social media is fun and full of entertainment. Small businesses market their products by entertaining the consumers. People choose the place where they feel they are being listened to and enjoy themselves. Social networking giant Facebook, serves as an entertaining market by featuring Facebook likes or fan pages. Amount of like shows a company’s popularity (not always). Other social media sites like Twitter attracts small businesses to market their product as they too have entertaining value. Always remember to blend your product marketing with the social media tools. Try to post some relevant videos with some humorous title. Entertainment is an important mantra for social marketing. Sites like Facebook and LinkedIn are becoming business owners interests as they are fast, entertaining, fun and not to mention very popular. So what will be your company’s strategy when it comes to marketing on social media ? Debarshi Ghosh Dastidar is a web design enthusiast and blogger. He writes for many web blogs including Inspire Your Way a Web Design Blog . When he is not blogging he can be found tweeting web design tips, freebies and giveaways. I agree with all the three points you mentioned here. Social media is a great marketing tool because not only could you earn from this, you also get to have fun as well. I have a lot of friends who sell some of their stuffs online via Facebook or Twitter, and they do not have a blog of their own, but they say that they sell and earn extra and it’s fun to interact with their customers too. Never underestimate the power of social media. Thanks for sharing!